We have another Masterclass coming Jan. 27th and IT'S A GREAT ONE! Click here to purchase now at the discounted rate. Remember when I shared this post on the 4th of July? I suggested that you learn a great piece of choreography from Will Rogers Follies for IndepenDANCE Day. Prepared Performer Team member, Adrienne Weidert, was in a fantastic production of Will Rogers Follies this summer at The Merry Go Round Playhouse and she's brought the Choreo back for us! Fun!! $30 online before Jan 26th – Click here. Save $5 by purchasing your tickets now! The number proper is called “Campaign” sung to “Our Favorite Son” and features the Ziegfeld Girls seated in a lineup just oozing patriotic sass. 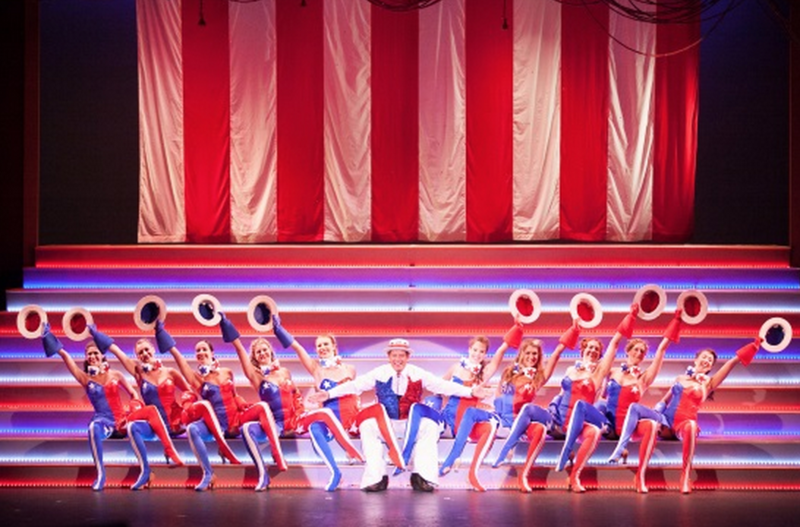 The number is all about character, attitude, patty-cake-hand rhythms, surprise tambourine straw hats… giggles and funny faces are just as important as the lyrics they sing to keep with the light and breezy mood plus a seated kick line smack dab in the middle of it all!!! It is such comic genius when the man in the middle plays it up. And it always gets tons of laughs every show.